The Eyejusters aren't the world's first adjustable eyeglasses that can be tweaked without the need for an optometrist, but they take a new approach to the idea that seems to offer some distinct advantages. Previous efforts have used flexible liquid-filled lenses that become thinner or thicker as liquids are pumped in and out. 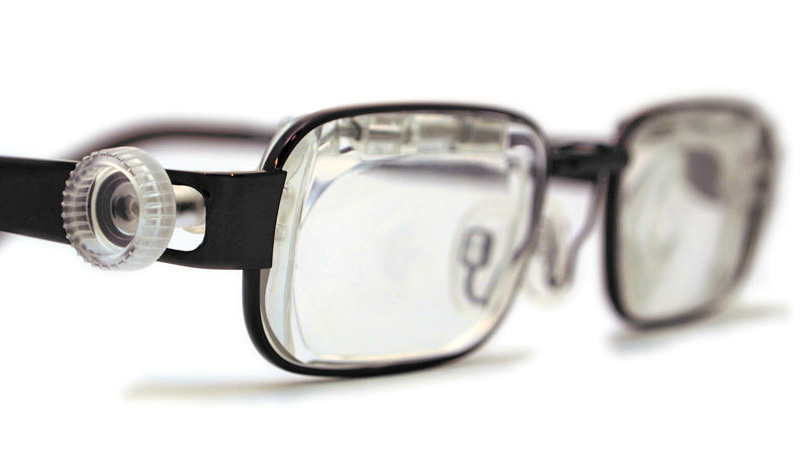 But the Eyejusters instead use a pair of specially shaped sandwiched lenses that are able to slide across each other. And as the positions of the lenses change by turning a removable adjustment tool, so does their focal range. Both adjustment methods were developed to create highly affordable eyeglasses for people living in under-developed nations. While someone who normally couldn't afford glasses probably doesn't care what they look like, the Eyejusters do appear to be slightly more stylish than the liquid lens alternatives. And more importantly, anyone can actually buy a pair of Eyejusters now for just $US40. Of course, if you have access to an optometrist and can afford a pair of prescription eyeglasses, those are probably a better long-term solution. 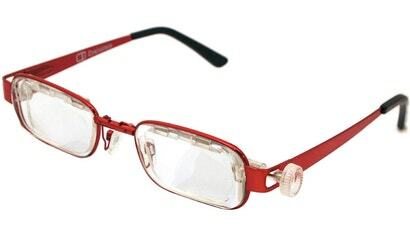 But as a pair of reading specs, the flexibility here makes these seem like a worthwhile backup.